Nicoletta and Neelakshi holding their award certificates, feeling ever so slightly awkward. Nicoletta Fala and Neelakshi Majumdar were honored at the COE Awards Luncheon on April 24 2018. 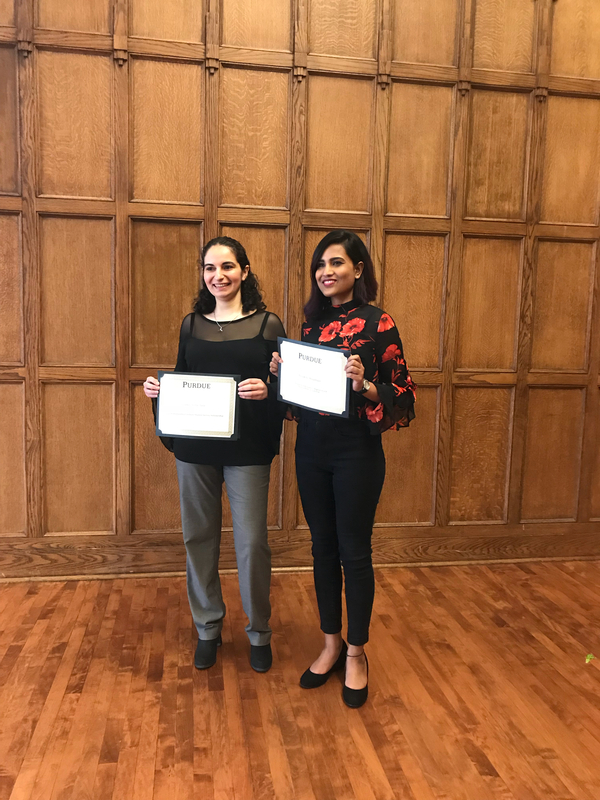 Nicoletta was recognized for her service to the College with the Graduate Service Award, and Neelakshi received a Magoon Teaching Award for her excellent teaching in the Purdue Polytechnic Institute. Congratulations Nicoletta and Neelakshi!